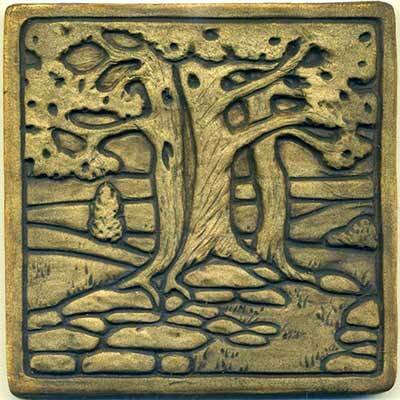 The Oak Grove tile is 6" square with raised design elements and a raised border. 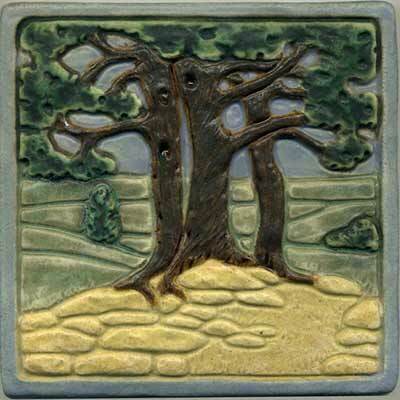 It is a single tile version of our two-tile Oak Diptych. 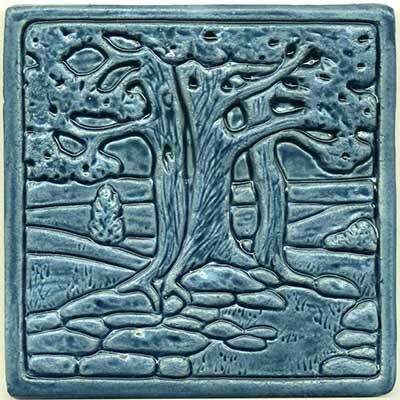 This tile is available in any glaze or stain or in multiple colors. Colors shown: Multi-colored with moss green foliage, grey-green hills and lilac sky/border; transparent blue overall; brown black stain overall.